This stylish chocolate leather bifold wallet with several card slots is embossed with the signature Ted Baker logo on both the inside and the outside for a stylish finish. 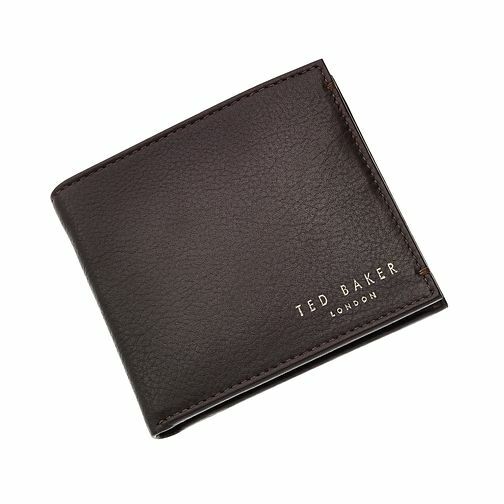 Ted Baker Harvys chocolate leather bifold wallet is rated 5.0 out of 5 by 4. Rated 5 out of 5 by Anonymous from Great product Really foo Quality and extremely satisfied with the service and delivery. Highly recommended!